I had a bunch of chores and fun stuff to get out of the way this weekend, and I worked hard all morning! I have so many projects that I've been ignoring, it's good to get stuff done. One of my more interesting projects involves fixing a new-to-me (previously owned) printer. 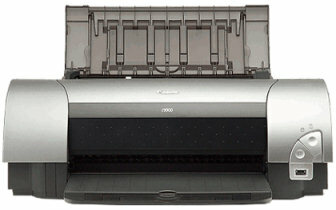 It's a Canon i9900: photo printer, takes pages up to 13x19inches and has 8 different inks. I was excited to get it because many people loved the image quality! The reason I got it so cheap: it was making black lines on the back of everything it printed. ugh. If I could Not fix it, it would be useless for my postcards because I print both sides of those. So! A printer cleaning project!! The problem was not hard to find. This is an edge-to-edge printer, and there is a sponge along the print line that soaks up extra ink. And extra sponges at the beginning and end of the print line to soak up ink from print head cleaning. There was a crazy amount of wet ink in that sponge. And when I say crazy... I mean COPIOUS, with capital letters and everything. If ink were blood, this printer would have bled out several times over! I ran a few test pages, and after a few run throughs the back of my prints came out clean!! well, mostly clean... there's still a bit of extra ink on the front of the pages at the very top. Which will get cut off of my postcards, so isn't a big deal. So! I have a new printer! Weird thing is... I was not impressed by the colour on my print outs. :( The print outs are pretty much the same as my ancient HP printer.